Part of the childhood lead prevention program in San Francisco indicate that it is illegal for property owners to allow lead hazards to exist in their property. The main priority of this program is to eliminate exposure of lead hazards to children. Old Housing in the Sunnydale community in San Francisco might have unrestrained lead violations. A resident of this community found elevated levels of lead in her daughters blood last year. As a result, the Department of Public Health sent city health inspectors to the residents home. They found 15 times above accepted levels of lead dust. Her unit was cleaned up and declared lead violation free a month later. However, her daughter might have had high levels of lead because there was damage to the bathroom wall which might have disturbed the lead paint. Ever since the inspection, the resident moved to another different unit. However there needs to be inspections for all units if one was found with high levels of lead dust. Currently, out of the 767 units in Sunnydale, public health officials have inspected nine for lead violations and found unsafe conditions in three of them. Although, units are inspected before tenants move in, health code violations were found. When violations like this exist, children can be exposed to lead when their hands or objects touch damaged paint or surfaces with lead dust and get placed in their mouth. 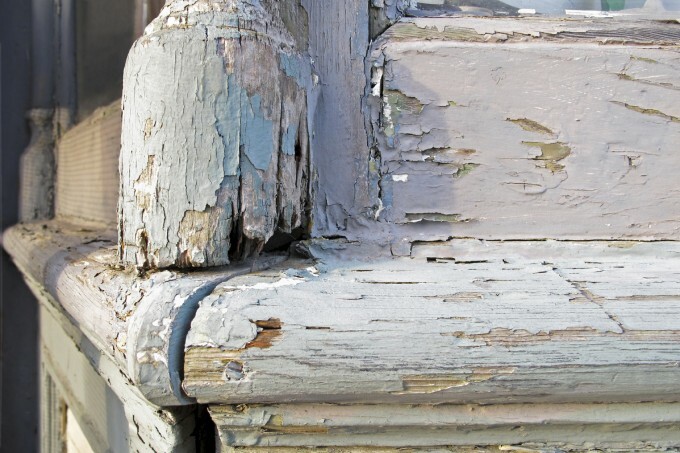 Although lead paint was banned years ago, the aftermath can still be seen now and it can be prevented. Old housing must be continually well maintained and should be inspected for lead paint and other hazards like asbestos. If you live around the San Francisco area and want to learn more about the Childhood Lead Prevention Program visit their website. If you have any questions about lead paint removal Alliance Environmental is a certified lead-removal contractor. They follow strict procedures to minimize, control and contain the lead dust created by the removal process.Contact the nearest alliance enviro location and we may be of assistance.